He first appears in Rome in the 1st century AD represented as a young man, wearing a soft cap that is sometimes called a Phrygian cap (Phygria is an area now associated with eastern Turkey and Persia). Roman Mithraism borrows imagery associated with an earlier Persian god Mitra, but they are not the same. However, Mithras is sometimes equated with the sun god Sol. Mithras is often shown killing a bull within a cave surrounded by other figures and animals, this scene is known as a tauroctony and is often interpreted as representing an act of creation and fertility. It is thought that Mithraic temples were intended to evoke a cave and were often built partly sunken into the ground and without windows. Imagery associated with the temples suggest that the cult may have provided initiates with some special knowledge of their place in the universe and it certainly gave members a network and strong bond with other members of the cult. Mithraism was often associated with the military and was popular with merchants and civil servants who travelled across the Empire. This is the only one to have been discovered in London to date but there are three other known temples to Mithras in Britain. Two of them are on Hadrian's Wall and one is in Wales. Several hundred Mithraea have been discovered so far in Europe, the Middle East and North Africa and it is almost certain that more will be found. However, we can piece together fragmentary evidence to give us a good idea. Scraps of graffiti, wall paintings, images found on pottery and inscriptions have all helped paint a picture of this mysterious cult. Archaeological excavation goes deeper and suggests there were initiation ceremonies and ritual feasts taking place. Excavation has also alluded to the use of dramatic lighting, incense and (small) animal sacrifice. The sounds in London Mithraeum include a series of chants or 'hails' to the different grades within the cult. These Latin words are taken from graffiti scratched into the wall of a Mithraeum beneath the church of Santa Prisca in Rome. We can tell more about this hierachy from a mithraeum excavated in Italy where a mosaic pavement in the central nave was divided into seven grades, each with its own symbols and associated planets and gods. The temple was situated in the grounds of a large house quite near the centre of London, and on the eastern banks of the Walbrook River. We know that it was built in AD 240 to 250 based on coin dates. 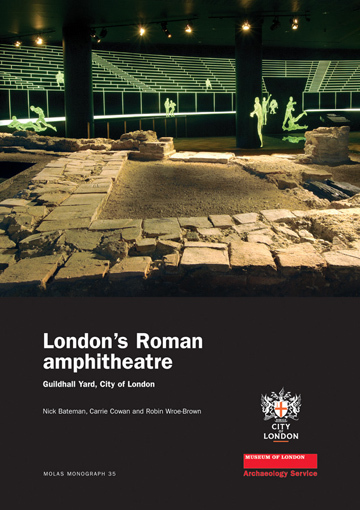 This is quite late in Roman London's history, nearly 200 years after Londinium was founded. It was in use as a mithraeum for 80 years before being repurposed. We don't know for sure who built it, but an inscription on one of the key sculptures from the temple, the tauroctony or bull slaying scene, says that an army veteran called Ulpius Silvanus 'fulfilled his vow‘, perhaps by building the London temple. 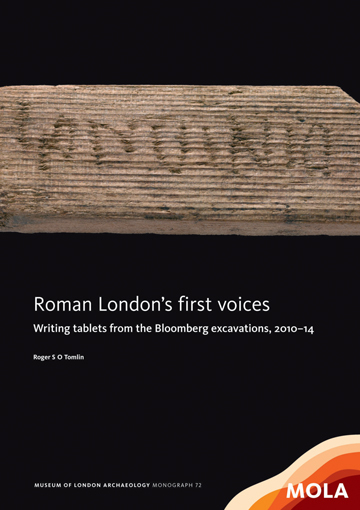 London Mithraeum Bloomberg SPACE is a FREE new cultural destination created as part of the development of Bloomberg’s new European headquarters. 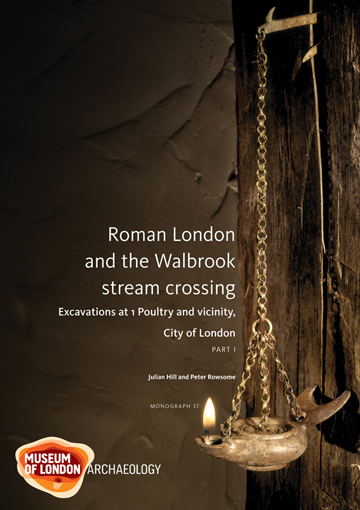 With its own, independent entrance along Walbrook, the three-storey space showcases the reconstructed temple seven metres below the streets of modern London, at Roman ground level. 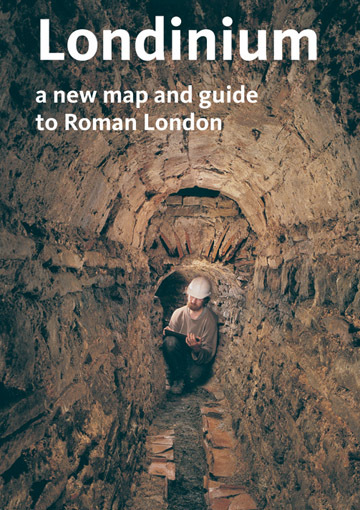 To find out more and book your viewing, head to www.londonmithraeum.com. Advance booking required. Sixty years on from the discovery of the Roman Temple of Mithras, we are working with Bloomberg on an oral history project.